"Every woman can have translucent, youthful-looking, “purely beautiful” skin. 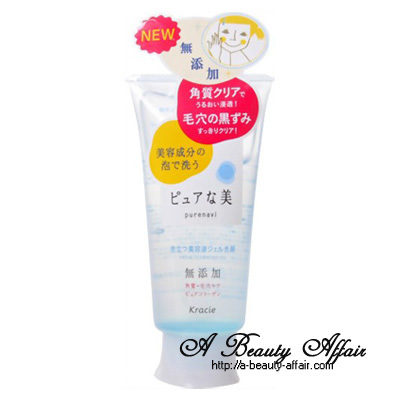 Introducing of one of the most popular new concept facial wash series from Kracie Home Products(former name: Kanebo). Feel the Gentleness & Functionality with new purenavi series! This series has no chemical additive such as paraben and very mild to your delicate skin. The concept of this facial wash series are, wash your face with “beauty essence”. 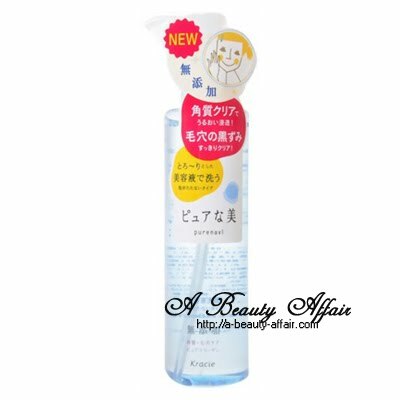 You will feel well moistened skin as if we applied beauty essence while washing you face! Purenavi series cleanse away dirt and grime, dead skin cells and makeup, not just on the surface but deep in the pores, to enable better absorption of the goodness in your facial lotions. They are enriched with Pure Collagen (hydrating properties) - Keeping your skin hydrated and moisturized while you cleanse. Pure collagen (hydrating ingredient) -> Hydrate while you cleanse "
Got the above extract from The Sample Store too. 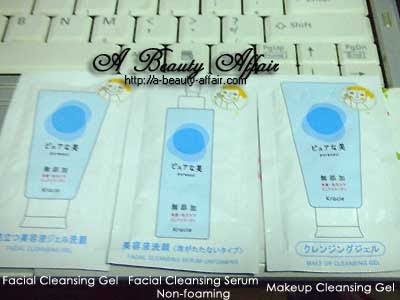 Anyway, the sample set contains 3 sachets of each of the above products. One sachet could last you for 2 uses. Do redeem yours to try it out for yourself. The texture was partially runny and jelly-like. I thought that it did remove makeup pretty well. Even my most stubborn waterproof Sana liquid eyeliner was almost 90% gone. But be careful when using it around the eye area, I felt a slight sting but it was still very much bearable. However, after rinsing off, my face still did not feel very clean. It kind of felt like I still had a layer of something on it. But it did not matter so much since I usually double cleanse. Gentleness without the foams. 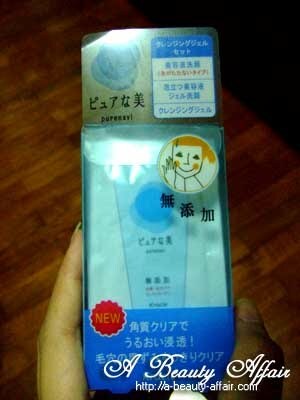 Essence-rich cleansing – a new-concept facial cleanser. Deep cleanses pores while infusing the goodness of beauty essence into your skin for skin that is smooth to the touch. Enriched with beauty essence for clean and soft skin. Mild on the skin, perfect for busy mornings. This one's texture is really runny and I'm not so sure about non-foaming cleansers as I've been told foam carries off more dirt and gunk. Plus, it does not leave soap residue in your pores as compared to those that do not foam. But at least it didn't sting my eyes. Cleanse your skin thoroughly with soft, gentle foam, enhanced with beauty essence for dewy, smooth skin. This one had the most gooey gel texture. It seems gentle to the skin and did not cause any discomfort to my eyes. After rinsing off, my face felt the way it should be - clean. And no, it wasn't the tight squeaky clean feeling which some cleansers gave - not the ones that meant that it had dried out your skin and it isn't a good sign (feeling). However, as you can see from the below photo, upon application to the face and after massaging it for awhile, it does not foam up too. But instead it did turns pretty soapy not foamy. I still felt that it did a great job at cleansing though. Paired with the makeup cleansing gel, these two would have been a great combination for daily cleansing. 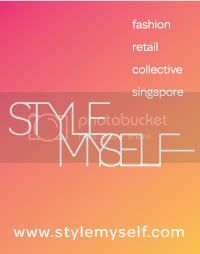 What more, the price is very affordable too.